Congress sources have accused Sharad Pawar's NCP of failing to come through for their leader Ahmed Patel in a bitterly-fought Rajya Sabha election this week in Gujarat. 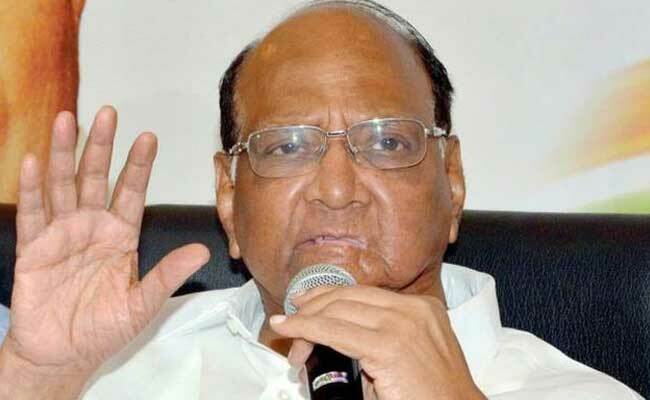 Sharad Pawar's party NCP has said it is not allied to any of the opposition parties currently. 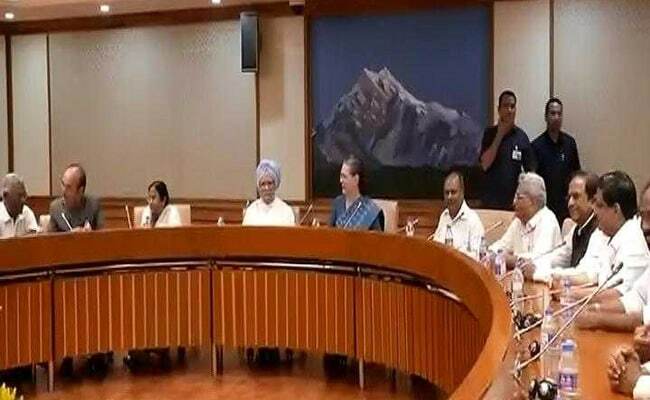 Sharad Pawar's party was a no-show today at the meeting of the opposition called by Sonia Gandhi. Mr Pawar had earlier confirmed that he would depute a representative to the session. His turnaround comes after Mrs Gandhi's party, the Congress, suggested that he had betrayed it in the recent Rajya Sabha election in Gujarat. The anti-BJP front, already seriously dented by the exit of Bihar Chief Minister Nitish Kumar last month, now appears to have shrunk from 18 to 16 members. “The NCP is boycotting the meeting called by Congress,” said Praful Patel, a top leader from Mr Pawar’s Nationalist Congress Party or NCP, to news agency ANI, making it clear that the Congress’ accusations have touched a nerve. Congress leaders, however, claimed that Mr Pawar had phoned them to say he is unwell and would not be able to attend the summit. Leaders of opposition parties met in New Delhi today. Mrs Gandhi's political aide, Ahmed Patel, had one vote less than what he needed to be re-elected to the Rajya Sabha for a fifth term. Mr Pawar's NCP claimed that it supplied the winning vote. But so did the lone Gujarat lawmaker from the Bihar Chief Minister's party, which meant he defied his boss' instructions. Yesterday, talking exclusively to NDTV, Mr Patel said, "Who voted for me is suspense", implying that he was not convinced of Mr Pawar's claim. In recent months, as the tension in Maharashtra between the BJP and its junior partner, the Shiv Sena, has swollen, there has been talk of Mr Pawar back-channelling offers of help, suggesting that he could fill in if the Sena yes exits the government. Top Congress sources say they are convinced that he sided with the BJP in Gujarat in covert cooperation while claiming that he remains committed to the league of parties that have come together to explore a joint effort in blocking PM Modi's re-election in 2019. 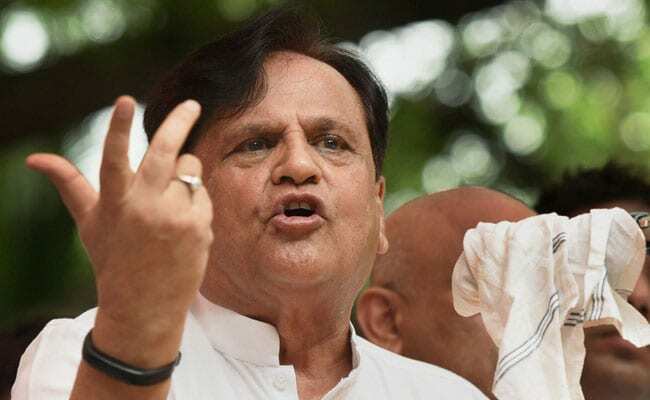 Congress members have accused the NCP of not backing Ahmed Patel in the Gujarat Rajya Sabha polls. The league was formed in April, partly on the insistence of the Bihar Chief Minister; it includes the Left and Mamata Banerjee and is pivoted by the Congress. But in June, Mr Kumar whacked it out of shape by supporting the BJP's Ram Nath Kovind's ascension to President of India. About a month later, the Chief Minister formalised his exit from the 18-party group by ending his alliance in Bihar with Lalu Yadav and the Congress; within an hour of calling it off, he was newly-hitched to the BJP, with whom he now runs the government. Though Anwar Ali of his party was present at today's session, he is seen as part of the much smaller camp of Sharad Yadav, who is prepping to split from Mr Kumar over his new arrangement with the BJP. At its meeting today, the opposition plans to strategise on how to confront the BJP in the next few months, both within and outside parliament. On the 27th, most of its A-listers are to attend a rally in Patna called by Lalu Yadav to attack PM Modi and his policies. But with Mr Kumar's crossover and Mr Pawar looking flaky, the league appears to be running low on gas ahead of crucial elections in states like Gujarat.